NEXT GENERATION LEADERSHIP JOURNEY - Be your true self! It is the end of a period and you are getting ready for something new. Maybe you know what you are going to do next year, maybe you don’t. Research in Holland (2016) shows that 65% of last grade secondary school students doubt about making a choice what to study. 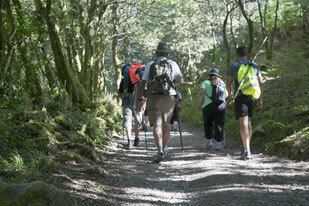 Join us for a journey of awareness and exploration, walking part of the Camino del Norte in Spain. Connecting with your voice inside and your true potential. Understanding the path you have walked so far and getting more clear what your dreams are. Time for reflection, time to let go, time to meet yourself. Back to basics. 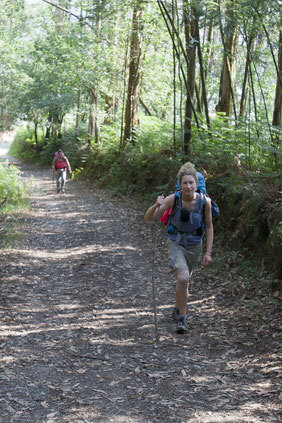 We will walk 285 kilometers from Irun to Santander, carry everything we need on our back and sleep in albergues. We will walk without a detailed plan and we will follow yellow arrows. The rhythm of the day will decide where we eat and sleep. Letting go and slowing down, letting the noise and routine of daily life float away and arriving in the present of the camino. We will use the first couple of days to do so and leave our busy life behind us. Connecting with this path, getting used to being on the road every day and getting into a rhythm of walking, and becoming and being a pilgrim. The cleansing phase. The simple life of a pilgrim, the repetition, will make you connect with your inner voice inside, overlooking your life, the path you came, who you are, what is important to you, and what is hindering you in your life. 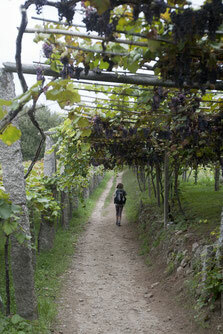 Walking in nature and the simplicity of daily life in Spain will help you unplug. Based on 5 pillars of Be your true Self! More about the 5 pillars of Be your true Self! Helps to connect with your inner voice. Gives insights about the true nature of yourself. Improves your focus, concentration and creativity. Gives answers to your questions. To be completely refreshed, physically and mentally, when you arrive in Santiago. 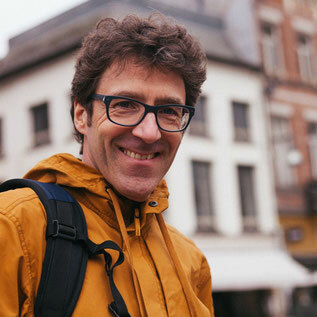 Gert-Jan de Hoon (1966) is a Dutch based accomplished transformation coach, speaker and guide, author of A pilgrimage to Santiago, co-author of Walking in the Rain, founder of Voyage Beyond and co-founder of Foundation Anders Bekeken. He has extensive experience in the corporate world, the health sector, international diplomacy, the travel industry and was partner in a management consultancy for 5 years. He worked within the medical field (Jeroen Bosch Hospital), with underprivileged youths, detainees, graduates, top management, youth, and starting entrepreneurs. He walks with his clients and persons with a visual impairment on the Camino in Spain and leads workshops at unique locations worldwide. Gert-Jan made a choice for long and winding paths to unknown destinations, instead of a fixed career path, after his study Communication Science. It brought him to China in the pre internet era (1991), he lived and worked in Uganda (Africa) and Spain, where he discovered the Camino. He traveled with groups in China, Nepal, India and Pakistan and fell in love with the Canadian wilderness during a wilderness guide course. His life journey learned him to listen to his intuition, being flexible, making contact on deeper levels, dealing with setbacks, keeping things simple, not giving up and living with passion. We will carry our own backpack (packing list will be provided). We will stay in albergues on the way and have our meals in the villages we pass. Personal coaching session one month after we have arrived (via skype/telephone). Including: introduction to the Camino, preparation for what to bring, daily coaching on the camino, personal coach session after returning. Excluding: traveling to Irun and from Santander, accommodation and food, travel and health insurance.